Beautiful Inglis, Florida and Yankeetown! Located along central Florida’s west coast, Inglis and Yankeetown are the centers of activity in Levy County. These Gulf Coast seaside towns harkens back to slower days. The history of the area is steeped with colorful characters. In 1919, A.G. Knotts one of the wealthy city planners of Gary, Indiana bought approximately two-thousand acres here as a spot to live as well as for the prolific fish, game and wildlife. During the next decade a trail was cut through the lush vegetation, which eventually became a paved road. Knotts then built the historic Izaak Walton Lodge, named after the writer, who was an avid fisherman. It didn’t take long for folks up north to figure out Knotts was on to something. Often referred to as a “Northern beachhead on the sacred shores of the South” it was eventually granted a charter by Florida legislature under the name “Yankeetown”. Although there are a little less that a thousand residents here, little about the natural charm of the area has changed. 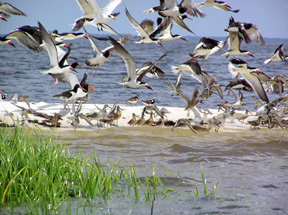 Inglis and Yankeetown remain popular destinations for fishermen, hunters and those seeking the ultimate Florida eco-tour. 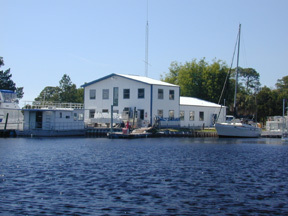 The Withlacoochee River runs through Inglis and empties into the Gulf of Mexico. The Withlacoochee is on of only a handful of rivers in the world that flow north. Starting as freshwater and ending in the salty waters of the Gulf of Mexico, the Withlacoochee offers the best of both freshwater and saltwater fishing. 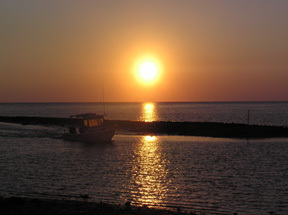 Bass, bluegill, trout, redfish, sheepshead, Spanish mackerel, bluefish, and even grouper, kingfish and world record tarpon are plentiful just a short boat excursion out to sea. Endless creeks, grass flats and salt flats offer up diversity like no other. The Cross Florida Barge Canal hits the Gulf of Mexico right here as well. If you have never taken a boat ride through the massive locks, you are in for a surprise. The Barge Canal is great for mullet, perfect for smoking. 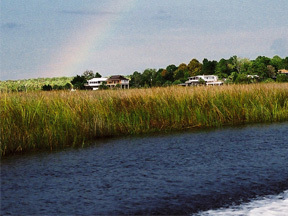 Adjacent to Inglis and Yankeetown is the Gulf Hammock Wildlife Management Area with over 24,000 acres of some of the best-managed hunting in Florida. Game include wild hogs and turkeys, deer, squirrels, raccoons, rabbits, opossum, otters, skunks, bobcats, quail as well as endless waterfowl and even bear and coyote. Fishing and hunting are not the only activities available. 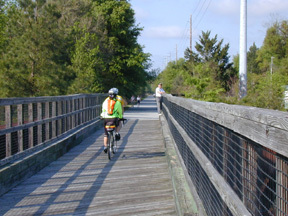 There are several biking, hiking and walking trails throughout Levy County. One of the newest is the Withlacoochee Bay trail (offering kayaking and canoeing in addition to the trail itself). Don’t forget to have your picture taken on the “Follow That Dream” parkway, named after the 1962 Elvis movie where it was filmed. There is also Riverside Drive, a romantic canopied street meandering through Inglis and Yankeetown. There are several places for accommodations and fine food including the Izaak Walton Lodge, which is now called Ikes, Pine Lodge Bed and Breakfast, Big Oaks River Resort as well as the Withlacoochee Motel for those on a budget. Several RV Parks are available also. Izaak Walton’s offers excellent seafood dining. There is also the locally famous December’s Restaurant. With little changing here in the past one hundred years, it is the steep history and small town charm that attracts more and more vacationers and residents. And being just minutes away from the larger cities of Dunnellon, Ocala, and Crystal River, Inglis and Yankeetown are increasingly becoming desirable places to live. If a slower pace is what you’re after, Inglis is perfect for you. Waterfront homes in Inglis are still affordable compared to other Florida waterfront communities making property here a great investment. And virtually no crime makes the area ideal for raising a family or for that dream retirement home. Yankeetown was a great little town for Lucy to grow up in. Let her and Team Barnes show you what Inglis and Yankeetown have to offer you!